Our professional cleaners will come in when your tenants move out to carry out an end of tenancy clean. We use professional equipment and eco friendly chemicals to get your property in the right condition ready to be offered to new tenants. We will get the cleaning done quickly, so you do not have an empty property for long. 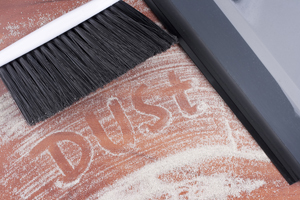 Building works create a lot of dust and dirt, our team of cleaners can carry out builders cleans on newly built developments and refurbished properties. After the completion of any building works it is vital that a property is left in pristine condition, we can usually be on site quickly to carry out a full Builders Clean. We can guarantee delivering a first class cleaning service to your company, no matter how big or small your requirements. A clean and tidy environment is essential in the workplace, both for you and your staff but also to make the right impression on visitors We provide all the equipment and cleaning agents to enable our staff to keep your premises the way you want them. Our office cleaning services are tailored to the individual clients needs but can include anything from the basic daily tasks such as washroom hygiene and periodical cleaning to the care of carpets, windows, telephones and individual work stations. We provide a communal hallway and stairwell cleaning service, we can clean small one floor premises to large estates. We work with property management, resident committees, landlords and estate agents and can offer a tailored solution to fit your needs including areas in addition to cleaning such as light bulb replacement.